Article sent in by Harvesting Nature reader J. Wilcox. Growing up I partook in the typical extracurricular activities of a young boy such as baseball and basketball. Though I was a dedicated teammate, there was a particular occasion where my father took me out on my first youth hunt, mid basketball season. The cold found a way to pierce through the layers of my teams practice sweats capped off with a layer of camo and a blaze orange hat. 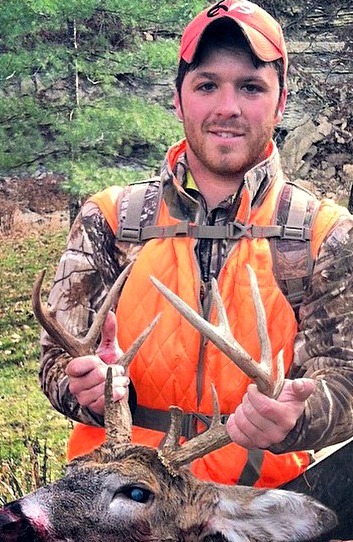 I was young but persistent and with my father’s advice I had the opportunity to harvest a small frame 8 pointer. I was ecstatic; too young to appreciate what had just took place, but consumed in the beauty of the rack. I had the permission of my basketball coach at the time to not only miss practice that day, but to come by and show the team my accomplishment. This event for me was a break from the norm, an absolute thrill; but in the end it remained nothing more than that, a break. As time went by I became more and more involved in baseball and it consumed my calendar. Prior to my involvement in these sports, I underwent two heart surgeries before the age of 3, the latter of which was an open heart operation. By eighth grade my doctor saw changes in my hearts anatomy; in turn she no longer wanted me to continue with contact sports. This decision made me step away from baseball, which at the time was my biggest time commitment. Because of this, I started spending added time in activities that had gone ignored in the midst of the high demand of America’s pastime. It seemed funny to me that in a time of complete disappointment and confusion I was able to find what I truly love to do, and that is simply to be in the outdoors. Through evoking this intense passion for the outdoors, I wasted no time throwing myself right into the mix. I found now that the philosophy of fishing, my favorite childhood outdoor activity, was much different than when I was younger. Gone are the days of the toughest task being baiting my hook with a worm, and now the focus has shifted to matching the color of your bait to the color and clarity of the water, or perhaps making sure you use fluorocarbon line instead of monofilament line when running a crankbait into deep depths. All of this knowledge took years to acquire but made me a better and more responsible outdoorsman. My newfound literacy and specialization in the outdoors was demonstrated when it went up against a friend’s lack of literacy, and it humbled me in the sense that it reminded me of where I started just a few years ago. In this transaction with my friend I was able to reflect on the ways in which I became extremely literate in this particular discourse, I recognized the strains of conversation between peers with different literacy levels and most importantly I recognized that in order to get more people involved in the outdoors the literacy gap must be narrowed. There are many different topics, subjects, and areas one can be literate in, and many of which deal with their exposure to that particular area from early on in life. For example, someone who grew up working on cars with their dad will know the layout of an engine, and how to handle particular parts. For myself, I can pump gas and change a tire, but in no way am I a qualified mechanic. I became literate on the topic of the outdoors because my father was there to teach me along the way, and in our day in age I had ample access to information online. Becoming literate in a topic, in my opinion, has two simple phases of which I followed. The first phase being: introduced to the subject and the second being immersing yourself in that subject and culture with everything you have. At the end of my baseball career my dad introduced me more into sport fishing and going along with him on hunts, it was with him that I learned the basics, but still wouldn’t call myself an expert. From here I watched endless hours of the Outdoor Channel, I subscribed to Field and Stream and annotated each issue and even practiced my fly fishing cast from my patio. I was on a search for intelligence and I had all of the right resources. Supplemental to all of this external information my father was able to guide me in sharpening my skills. Soon I found myself knowing which lure to use for particular species based on weather, time of year, water depth and clarity. I possessed the knowledge of knowing which phase of the rut the deer were in based on their moving and feeding patterns. All of this was credited to my extreme exposure to lessons I learned on how to conduct myself in the woods in order to be successful. All of this knowledge came to a head when my friend asked me to take him hunting and fishing for the first time. He had a strong interest for some time but just didn’t know where to start. As an intro into the sport I took him to a Field and Stream store to debrief him on the tools that we would use out in the woods or on the water. When it came to describing things such as a bait caster versus a spinning reel, or the different ways to strike a turkey call he was clueless. It was here where I had my firsthand experience with the effect of one individual having a high literacy in an area, and the other being illiterate, and the strain that it puts on communication. I then realized it’s not in a sporting goods store where he could truly understand a tom’s reaction one evokes with a cluck or purr, but to see it in action. In response to the failed trip and explanation about the tools of the trade, I then directed him to what I first turned to when entering the realm of the great outdoors. I instructed him to watch countless hours of hunting shows and read outdoor magazines and websites, to hear it directly from the pros. It’s here where one can learn, and later apply, how the wild functions; and in turn how we as humans must act and the procedures we must take to be successful outdoorsmen. In similar fashion to how I changed his exposure to terms and tools used, I adjusted the goals that we wish to achieve to be more realistic and practical. From here on we stuck to small game hunting like squirrel and rabbit. It was this type of an introduction that allowed a newcomer to gain essential knowledge and begin to develop their skills and awareness of the wild to grow to be a fruitful big game hunter. Additionally, by starting with more entry level goals the strain of conversation is reduced, and from here only grows stronger as their hunting skills continue to develop. With the strains of communication now behind us, I had a much better outlook for his experience in becoming an avid outdoorsman. Still there was a lingering thought in my mind; I knew that in the beginning of this experience with my friend, I myself had become part of the barrier to getting more inexperienced hunters and fishers involved in the outdoors. My own high level of literacy into the knowledge and procedural aspects of the outdoors had made me become intimidating to those who are not as familiar to hunting and fishing, and in turn deterred them from giving it a shot. If it had not been for the fact that this was one of my best friends, I don’t believe he ever would have reached out to me to go on his first hunt. This idea bothered me for some time and made me brainstorm new ways in which I could inadvertently feed knowledge to those who may be interested, so that when they approach me or any other outdoor enthusiast they wouldn’t feel too intimidated to be a part of the conversation. In the end, I went with the times and started shifting my social media presence to provide good information for those interested to read and learn. I didn’t accomplish this by “tweeting” step by step instructions but rather pointed my friends and followers to reliable sources that I myself would read. For instance, if I found a great article on rut activity and posted it to all of my social media outlets it gives an interested peer a great base of knowledge to discuss. Not only will it generate discussion, it will create an opportunity in which the approached hunter can offer to take out the person that’s interested into the field. Whether they have the gun in their hand or are just observing, we all know that the most important part of the process has just taken place, exposure. By exposing my peers to the same information that I find valuable, it has given them a better opportunity to self-integrate into the discourse, and has driven to greater hunter recruitment amongst my immediate outreach. Looking back over this entire situation, I feel as though I myself and my peers came out in a much better position than when we started. By taking a friend along with me, I realized that I had separated myself from the group of humble self-taught outdoorsman that I am. Inadvertently, I became a barrier to recruitment for those who were in the same starting position as I was years back. By considering how I became literate and the strains that my high level of literacy had caused in getting more people outdoors. I have successfully altered how I explain and share my resources of outdoor knowledge with my peers to break down that barrier. This new approach gets as many people involved as possible while making them feel included and unintimidated. 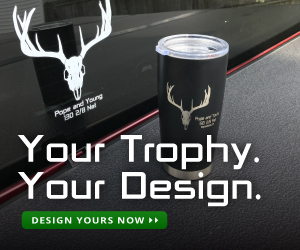 By opening up communication lines, creating a dialogue, and providing people with entry level knowledge into the world of hunting, fishing, and the outdoors, we are allowing them to comfortably give a shot at what could be their next big passion in life. 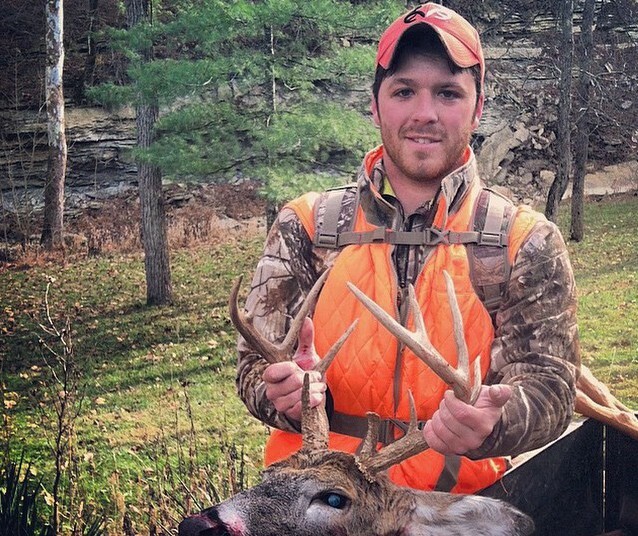 Justin calls a quaint little town in Northern Kentucky home, and like most hunters his general outdoor education came from his father. He has refined his skills and knowledge through a devotion to reading on the subject. 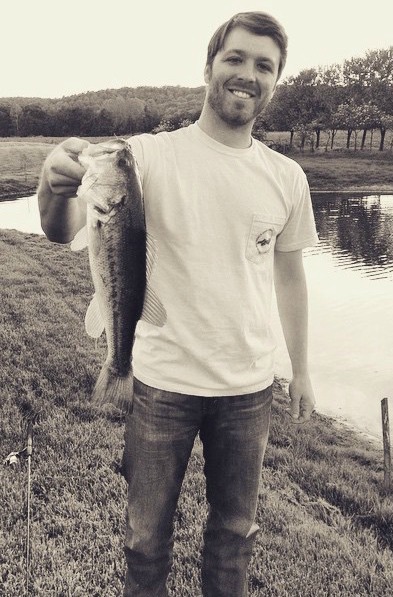 From a very young age Justin developed a passion for fishing and hunting alongside his father, the shared suffering made each catch or harvest that much more of a triumph and accomplishment. It is this appreciation for the outdoors that has remained with him during his four years away at the University of Cincinnati. 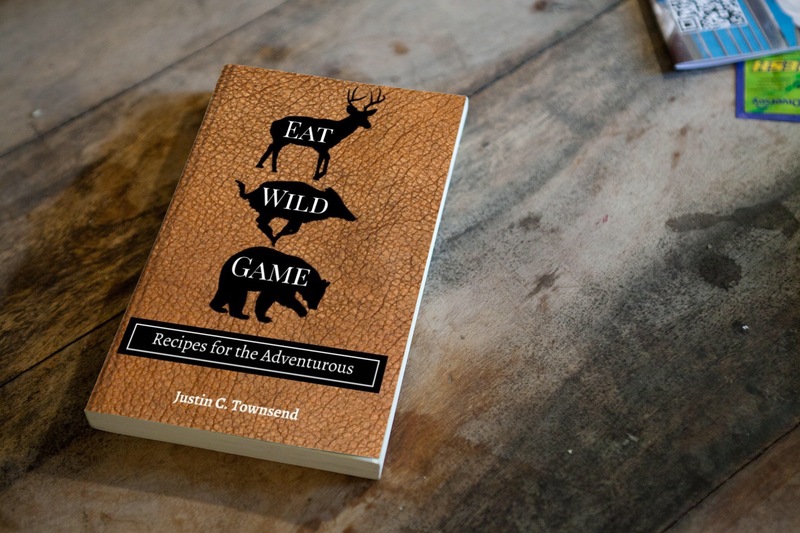 In those years, Justin began not only preparing, but also processing his own wild game (an honest and convenient practice for a broke college student). Whether it’s squirrel, venison, or crappie Justin will always love sharing the experiences and food of the wild with those in his life. If you would like to be considered for Harvesting Nature’s Monthly Reader Submitted Article, send your article and at least two photos to kslye@harvestingnature.com or marketing@harvestingnature.com. This is a wonderful article (story). If more very knowledgable sportsmen/women would share their intimate knowledge about fishing and hunting and even observing wildlife with the rest of the world the recruitment of younger outdoors people would occur quicker. I have been a small part of some turkey hunts and ice fishing events that centered on youth and they were very willing to learn and some even bagged the game they were after. I learned a lot at the same time.